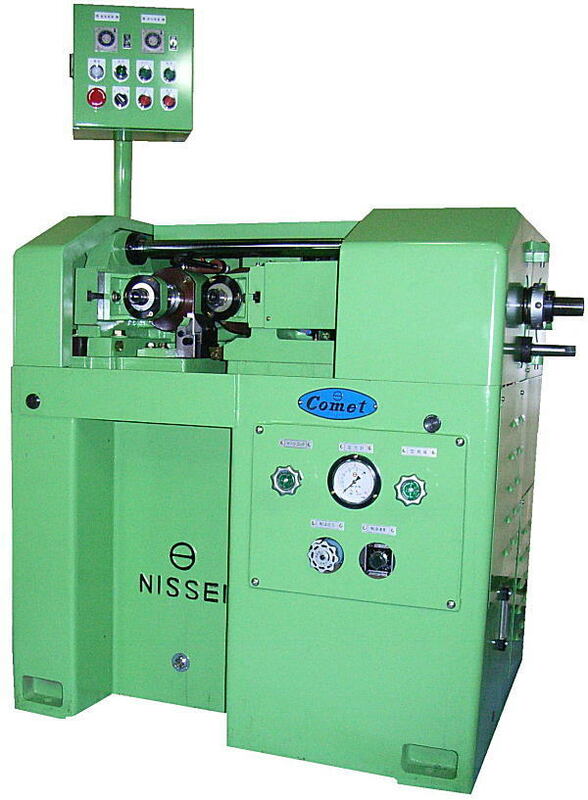 Nissei's Comet High Precision Hydraulically Actuated Thread Rolling Machine Series has been widely used for processing various materials from ferrous or nonferrous metal to engineering plastics because of its excellent capability and flexibility. Roller die forefront can be easily adjusted with new system on the left main spindle. Both the double key system to interlock the main spindle with the wheel and the spline employed for the drive spindle provide distinguished solidity and accuracy. © Copyright 2015 Nissei Co., Ltd. All Rights Reserved.